OPPO Philippines is partnering with ABS-CBN Bantay Kalikasan to plant 1,200 seedlings at La Mesa Watershed in Quezon City following the success of the recently concluded OPPO F9 Jade Green Charity Photo Competition. The online contest, which got massive support from the Filipino public as it received a whopping 106,146 entries, featured a gallery of photos taken using OPPO F9 Jade Green by three local photographers that showcased unique and distinct Philippine sceneries and cultural traditions. 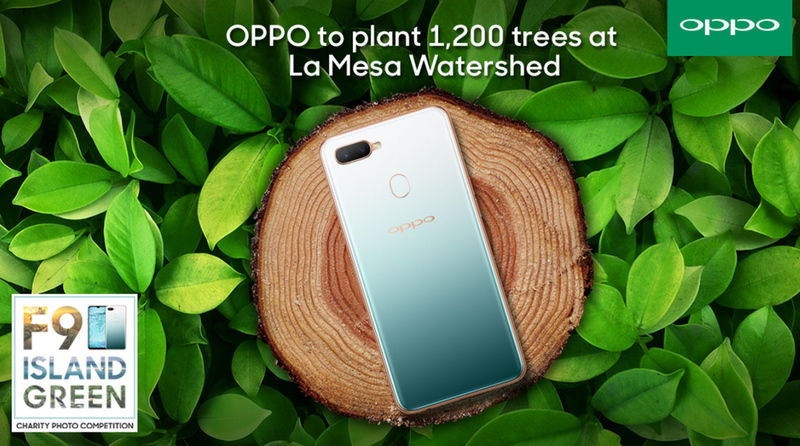 As promised, OPPO Philippines will donate one peso to Bantay Kalikasan’s efforts to plant trees in La Mesa Watershed for every one vote or share. As such, a total of three hectares of trees will be planted, which is worth Php 200,000 of donation from the company. According to Ms. Jane Wan, OPPO Philippines' Vice President for Marketing, "We are very grateful to everyone who voted, shared and supported our Charity Photo Competition. OPPO will continue its advocacy of preserving the environment." The partnership with Bantay Kalikasan is one of OPPO Philippines' Corporate Social Responsibility (CSR) projects this year and OPPO employees will take part in the project by planting the said seedlings. An entire three hectare area in La Mesa Watershed will be filled with newly planted trees and it will be called the "OPPO Forest". Launched during the first week of 2019, OPPO F9 Jade Green features the VOOC Flash Charge Technology, allowing the consumer to get up to two hours of talk time after only five minutes of charging. The handset, which is priced at just PHP 17,990, also features the innovative Waterdrop screen, 6GB RAM for smooth multitasking, and Dual Rear Camera Module. The Jade Green version of the OPPO F9 has limited stocks and is only available at select OPPO Concept Stores and dealer outlets nationwide.